Vornado humidifier filters scrub unwnanted pollutants from the water entering your humidifier, keeping your home's indoor air pure. The Vornado MD1-0001 replacement humidifier filter is a wick filter replacement for the following Vornado Humidifier models - HU1-0010, HU1-0007, HU1-0008, HU1-0015, HU1-0016, HU1-0012, HU1-0013, HU1-0009, HU1-0014. 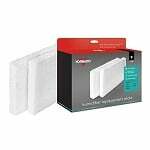 The Vornado MD1-0034 Replacement Wick Filter is a 1-inch antimicrobial treated humidifier filter that fits the Vornado EV100, EV200, EVDC300, EVDC500, Evap2, and Evap40 evaporative humidifiers. 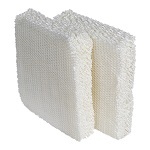 The Vornado MD1-0002 replacement humidifier filter is a wick replacement for all Vornado humidifiers. 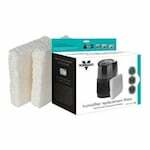 The Vornado MD1-0002 Humidifier Filter is for use in any Vornado humidifier.